Dampfschiff ‘Rigi’ was built in 1847 at the London Ditchborn & Mare shipyards, to serve as a post and freight liner on Switzerland’s Lake Lucerne. During her delivery voyage, she crossed the English Channel and navigated the Rhine river under her own steam. At Strasbourg, she was dismantled and the components loaded onto horse drawn carts for the journey to Lucerne. The convoy didn’t get very far, however. Civil war was raging in the Swiss Confederation and the consignment was halted at Liestal near Basel to be searched for weapons suspected of being hidden in cavities. None were found, yet the shipment was detained until the rebels at Lucerne had surrendered. Reaching Lucerne at last, ‘Rigi’ was reassembled and launched. She took her maiden voyage to Flüelen in 1848, and entered service in transporting the mails, freight, cattle and the odd passenger. There was very little in the way of shipboard comfort, she was a “Glattdeckdampfer” or open deck steamer after all. Schematic of DS Rigi as she was originally built. During her 105 service years, DS ‘Rigi’ saw a number of major changes. For example, her hull was extended by 4m in 1860 and the fuel was switched from wood to coal in 1862. She received a new power plant in 1884/95 that included a twin oscillating cylinder engine, high-pressure boiler and paddle wheels with movable blades. 1905 saw the addition of a saloon on the after deck and a refit in 1924 changed the appearance of her superstructure. There is no record that could be found to indicate any major accidents or emergencies involving the legendary ship, which in itself is remarkable. She was taken out of service in 1952 and laid up. 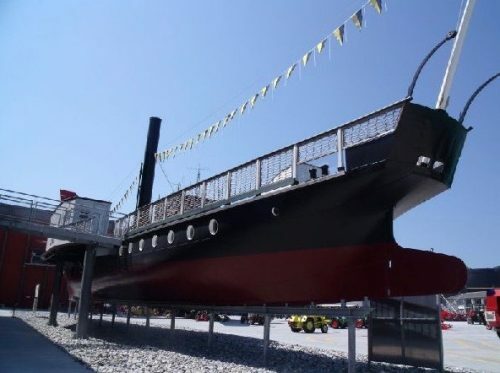 Six years later, she was put into dry dock and prepared for her future as a museum exhibit. 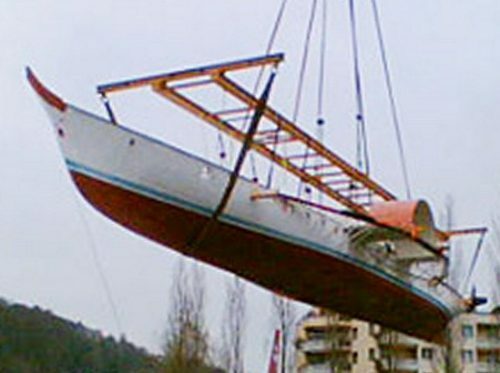 The partially dismantled ship crossed Lake Lucerne on a barge for the very last time in 1958; the museum opened a year later, with ‘Rigi’ as its centrepiece. For the next forty-odd years, she sat in the courtyard of the Verkehrshaus der Schweiz in use as a restaurant. I have fond memories of visiting her as a child on several occasions. Everything was fine until 2005, when the lake flooded and inundated the museum. DS ‘Rigi’, already in bad shape due to decades of being outdoors, suffered great damage. 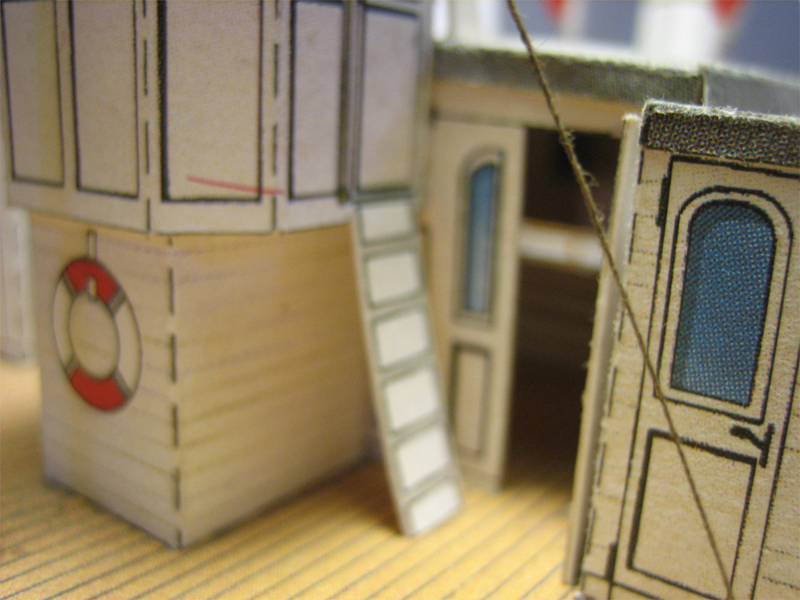 The hull proved to no longer be watertight. Rust crept into the old iron shell and mould destroyed most of the woodwork… she was a wreck. The ship was stripped down to salvage whatever was salvageable, while a plan was compiled of what to do. A study looked into the possibility of restoring her to service on the lake, as an historic vessel. This was deemed too costly and modern safety requirements would have meant the loss of too much of the original fabric; thus, the plan was rejected and a new location within the museum was prepared instead. DS ‘Rigi’ being moved to her current location and restored in-situ. 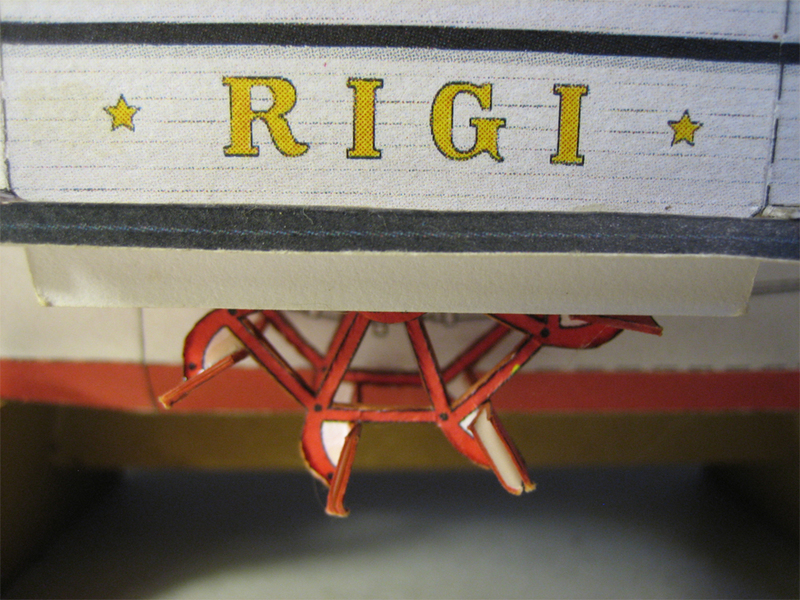 My latest build of the ‘Rigi’ is the only survivors of many. 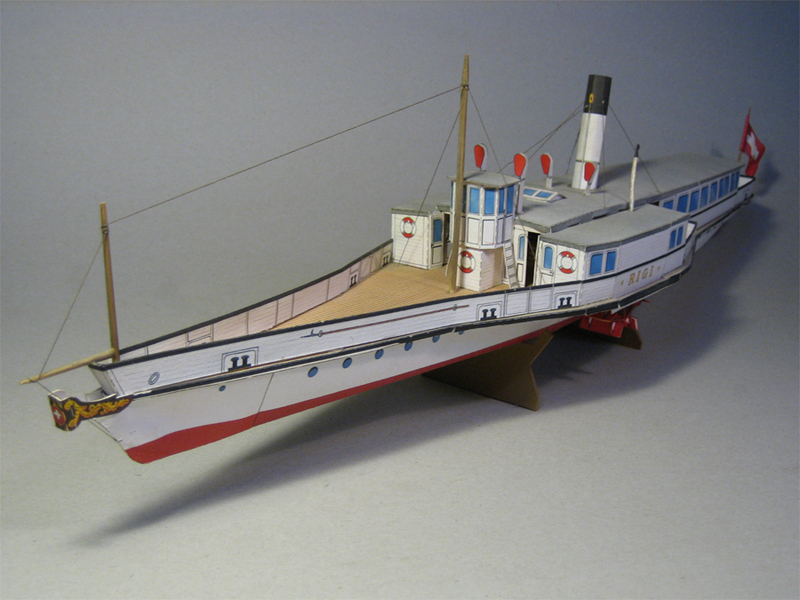 The card model kit of the paddle steamer ‘Rigi’ presented here, was published by Verkehrshaus der Schweiz (VHS) in 1985. The impetus for its production was the need to raise funds for urgent repairs to the original at the museum, which been on outdoor exhibit since 1959. Its use as a restaurant and the influence of the elements had taken their toll. Eight colourful pages of pure joy. The Swiss population was asked for help, in that each household received one of these kits. One was asked to either make a donation of Fr 10.- to the VHS, or to return it by mail. I was eleven years old at the time; my parents made the donation, because I had always been a tinkerer, and this ship was legendary. After all, one had visited the Verkehrshaus, and has seen the real thing! 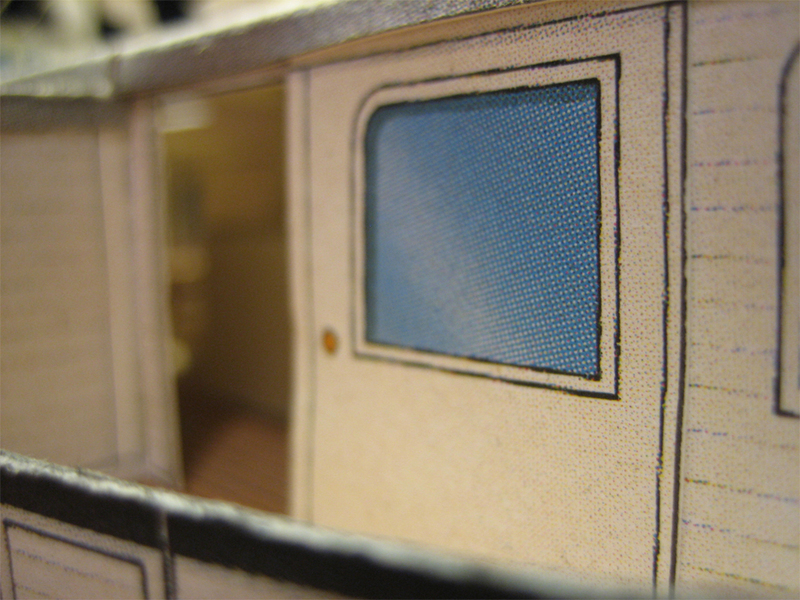 The instructions reveal a complex puzzle for a young model maker. The kit was available until a few years ago, but has now, unfortunately, sold out. I have built several of these kits and I did put one or two pristine examples aside. In 2009, I approached the VHS for permission to create a digital version of the kit and publish it on this website. Permission was granted, so here we have ‘Dampfschiff Rigi’ as a model kit available here for your enjoyment. 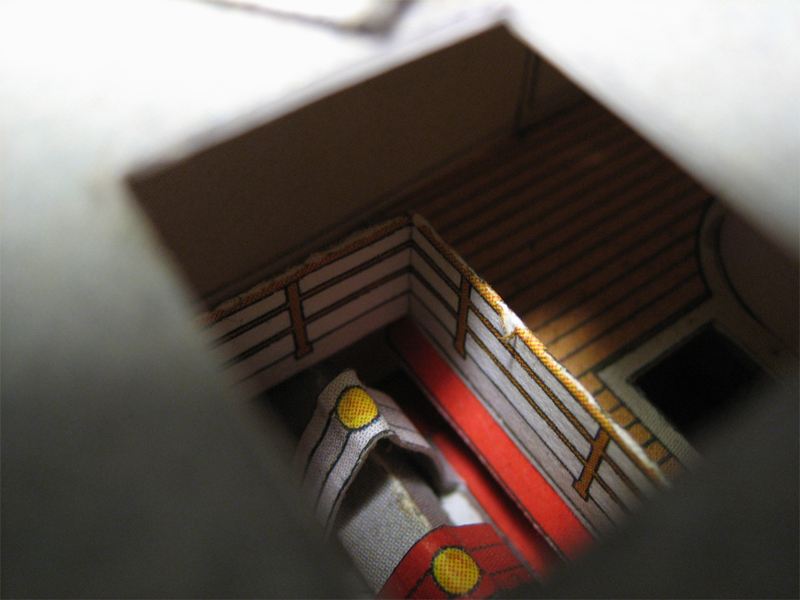 The model in scale 1:72 and measures about 580mm long when finished. Find this model on the downloads page, or purchase an original kit here.